I follow some videos on macOS and notice this app icon in the Menu bar. I am curious to learn more about the app and what purpose it serves. I may possibly be missing a great macOS app. 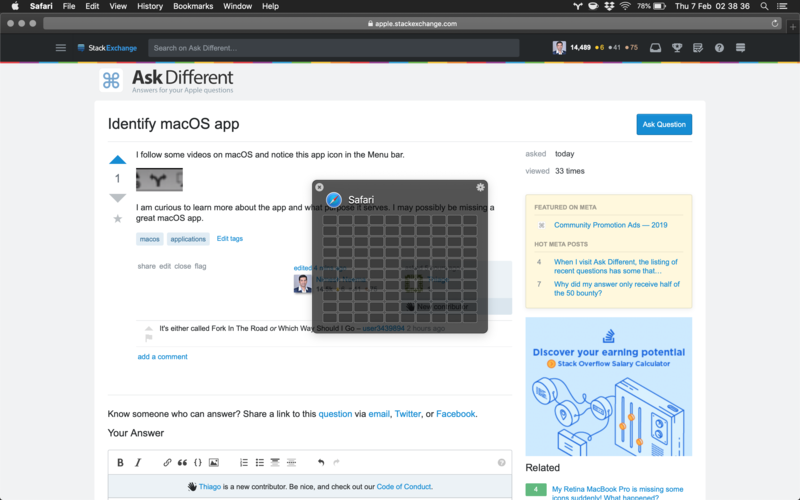 The icon is question is from a paid 3rd party macOS app called Divvy - Window Manager. This app lets you easily and quickly resize app windows into exact portions. The app lets you use keyboard shortcut to present a configurable panel, which can be used to precisely resize window for the frontmost app. Use keyboard shortcut or click on the app icon in the Menu bar. Divvy present the resize panel. Click and drag on the boxes to select and resize the app window. Note: No affiliation whatsoever with the developer. 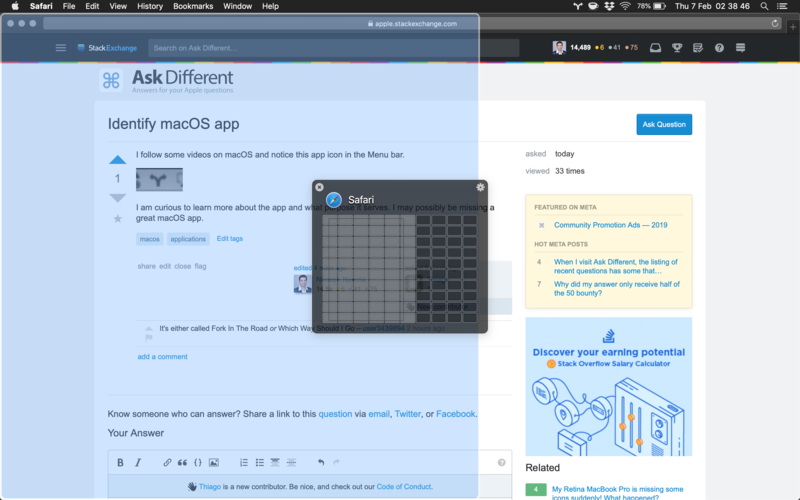 Have used the app satisfactorily starting with OS X Yosemite. Using with macOS Mojave as of this writing. I removed the battery icon from the menu bar. How do I add it back? 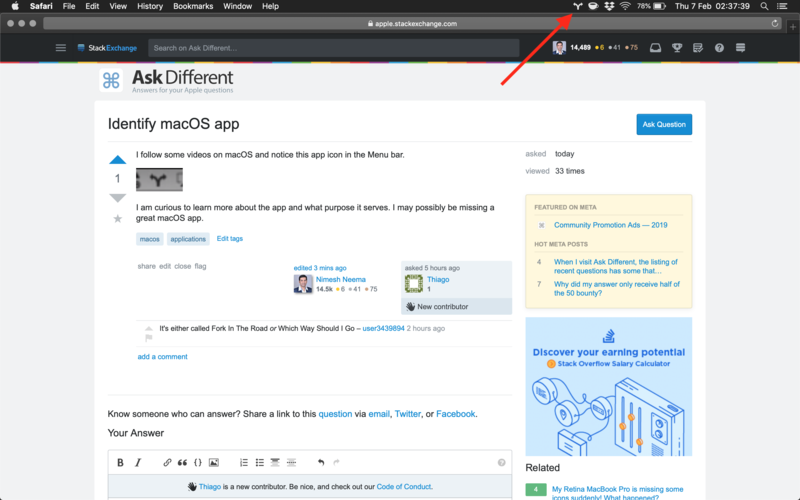 How to hide menu bar icon without using external apps?